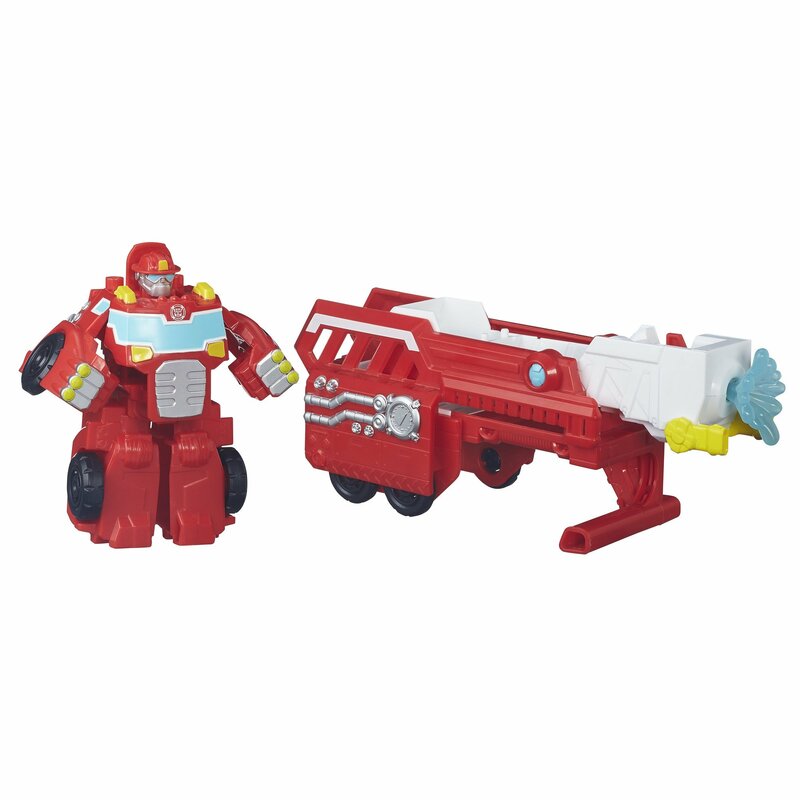 Includes Heatwave the Fire-Bot figure, trailer, and 1 projectile. Heatwave the Fire-Bot is the perfect Rescue Bot to save the day! As the leaderof the Rescue Bots, Heatwave is headstrong and can be a little stubborn attimes, but he is always willing to help those in need. He can be easilyconverted from robot mode to vehicle mode and back again. When the missioncalls for a rescue, convert him to fire truck mode. Attach the trailer and getready to go! Imagine arriving at the scene, and convert him back to robotmode. Then, convert the trailer into a projectile launcher and pretend to savethe day! Playskool Heroes, Transformers and all related characters aretrademarks of Hasbro. Manufactured under license from TOMY Company, Ltd.